Made this with some classmates for a group project in my software engineering class. Time was limited so the game is very buggy, simple, and not very fun. 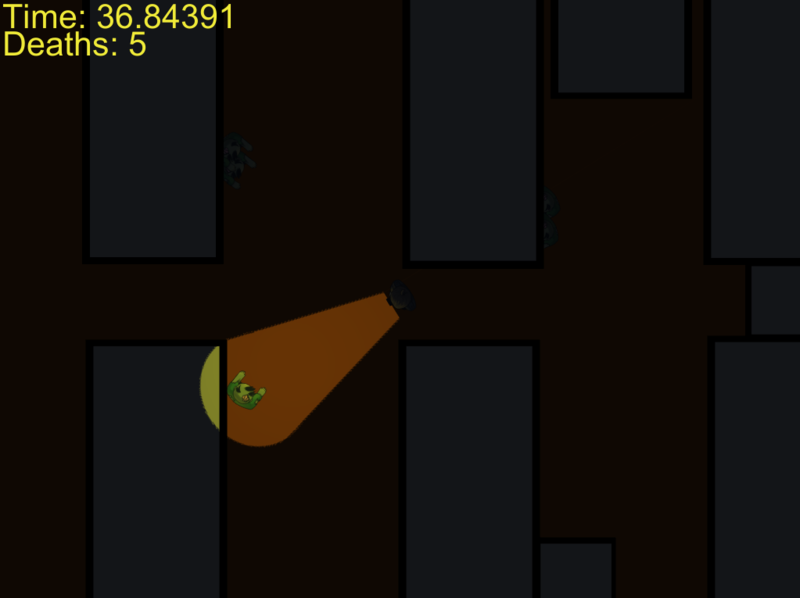 Working on this was very educational in the ways of Unity, however,and it has a mostly functional A* pathfinding implementation for the zombies which is sorta neat. Move with WASD, use the mouse to aim your flashlight. Zombies will come after you but stop when in your light. Reach the goal square. There are powerup squares that will make your light red and make you a little faster for a short time if you touch them with your light.